We investigate a variant of the facility location problem concerning the optimal distribution of service points with incomplete information within a certain geographical area. The application scenario is generic in principle, but we have the setup of charging stations for electric vehicles or rental stations for bicycles or cars in mind. When planning such systems, estimating under which conditions which customer demand can be fulfilled is fundamental in order to evaluate and optimize possible solutions. In this paper we present a cooperative optimization approach for distributing service points that incorporates potential customers not only in the data acquisition but also during the optimization process. A surrogate objective function is used to evaluate intermediate solutions during the optimization. The quality of this surrogate objective function is iteratively improved by learning from the feedback of potential users given to candidate solutions. For the actual optimization we consider a population based iterated greedy algorithm. 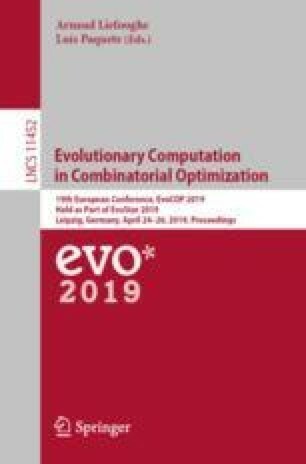 Experiments on artificial benchmark scenarios with idealized simulated user behavior show the learning capabilities of the surrogate objective function and the effectiveness of the optimization. T. Jatschka—acknowledges the financial support from Honda Research Institute Europe.